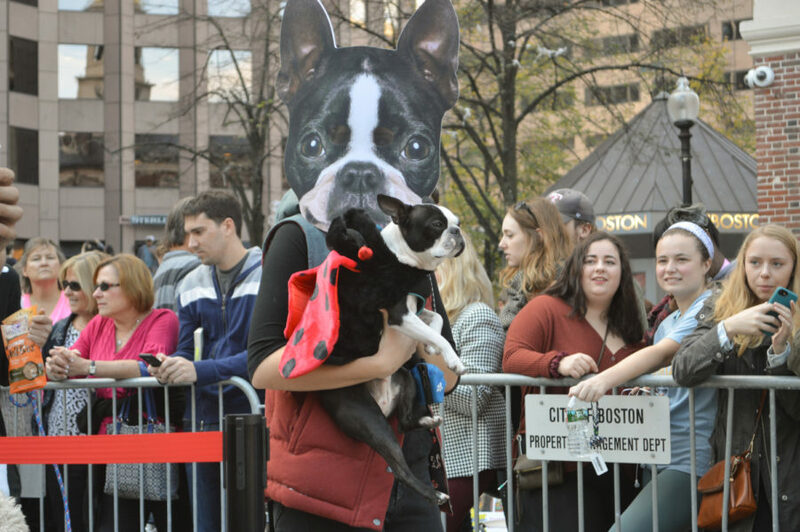 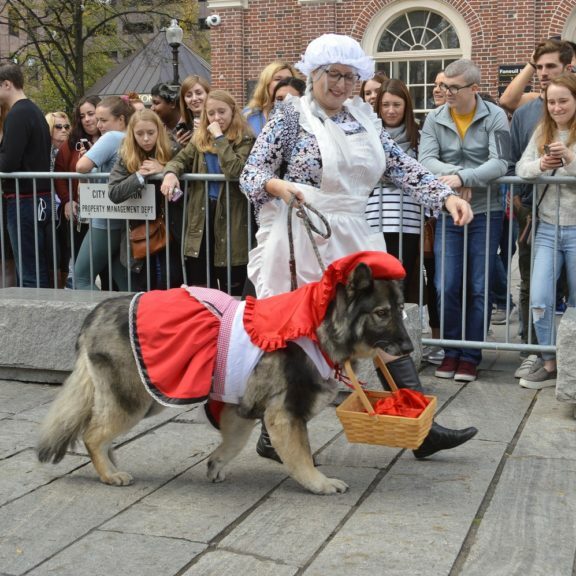 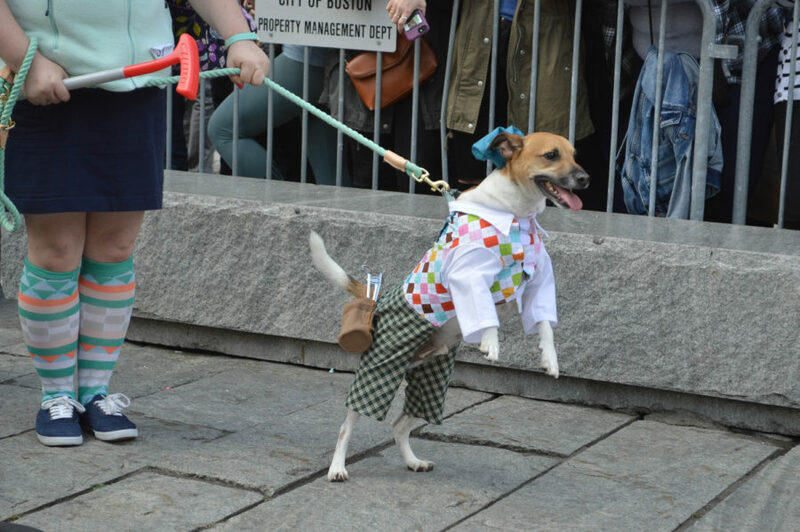 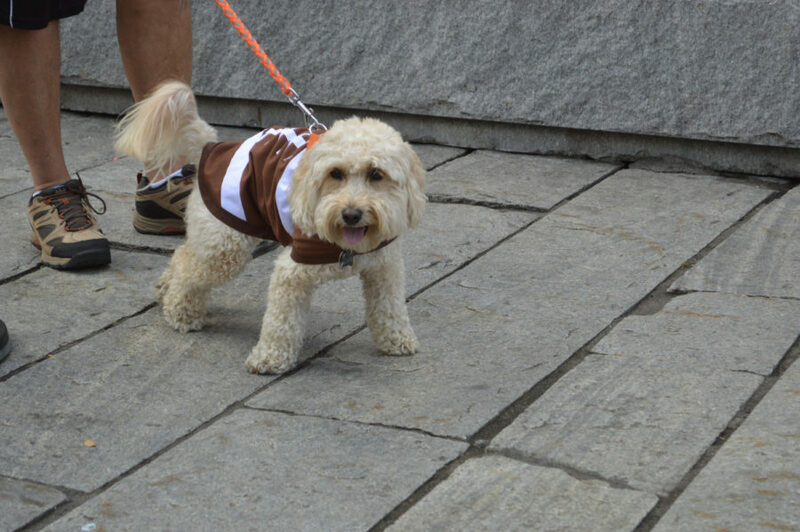 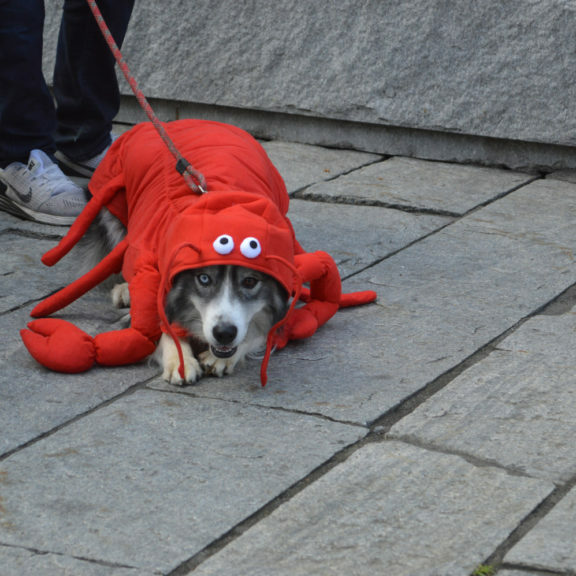 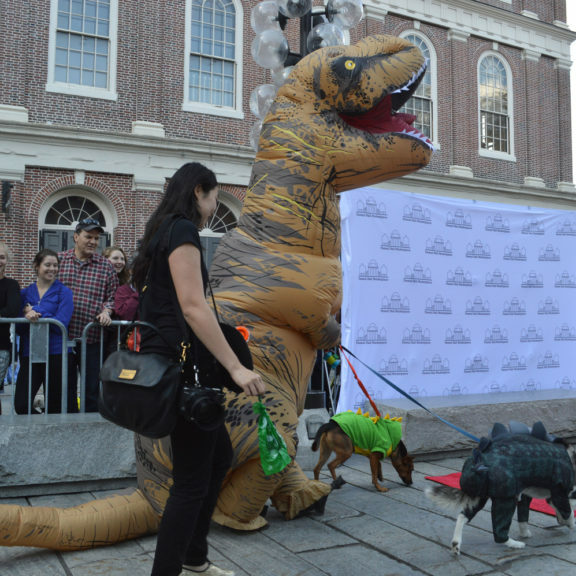 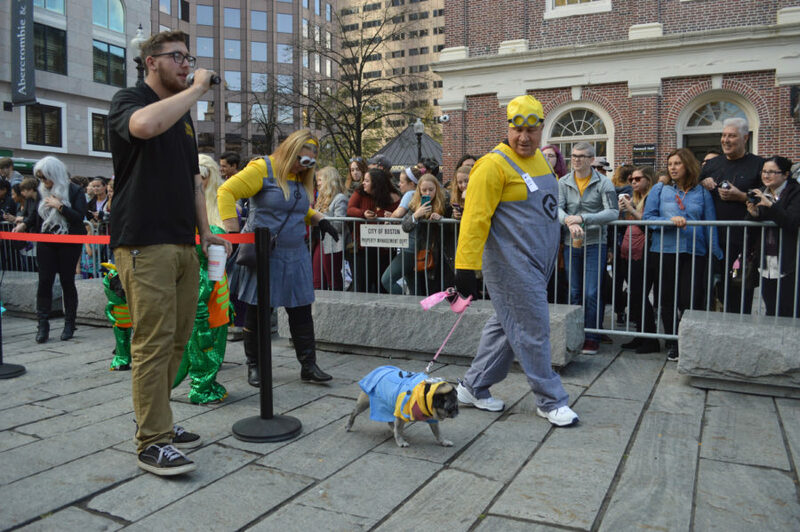 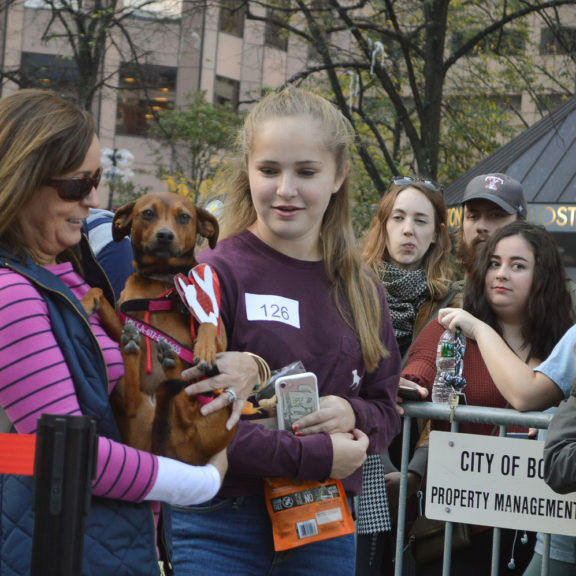 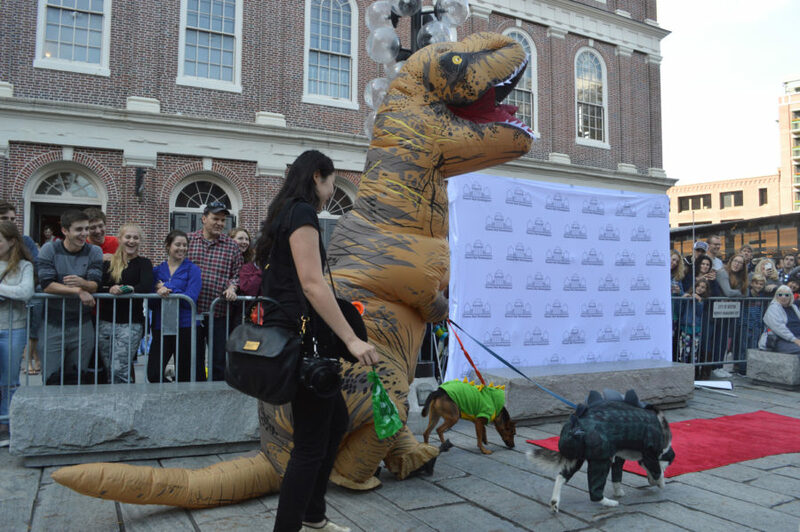 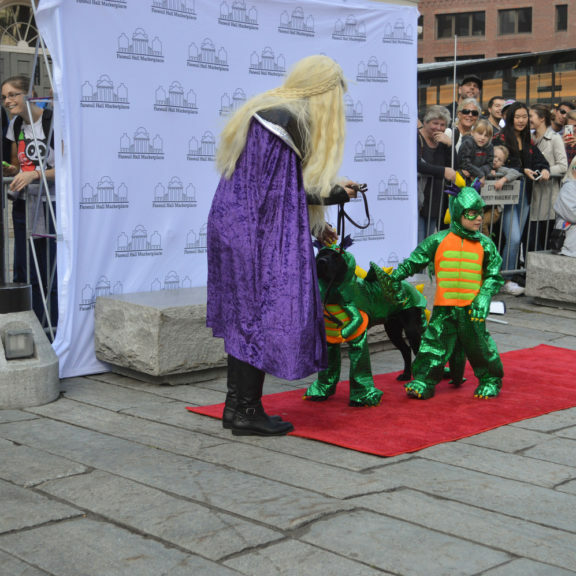 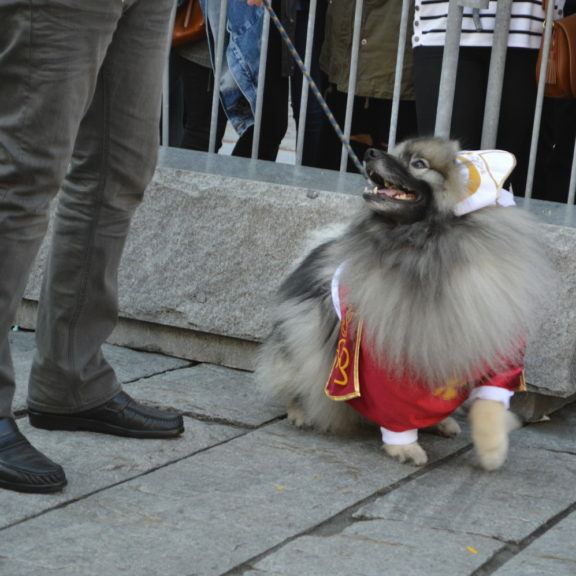 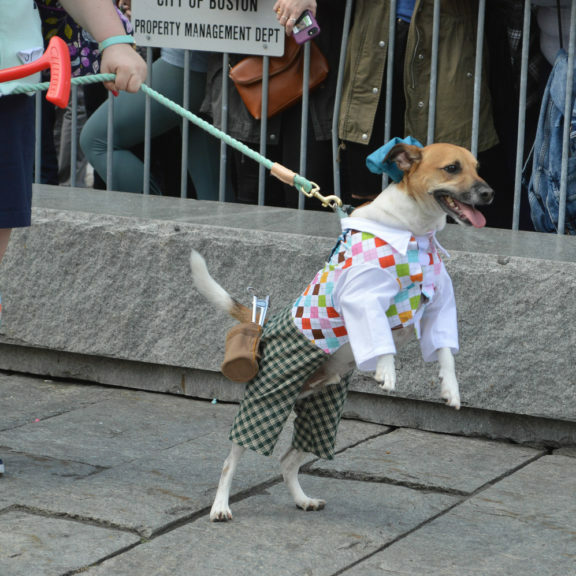 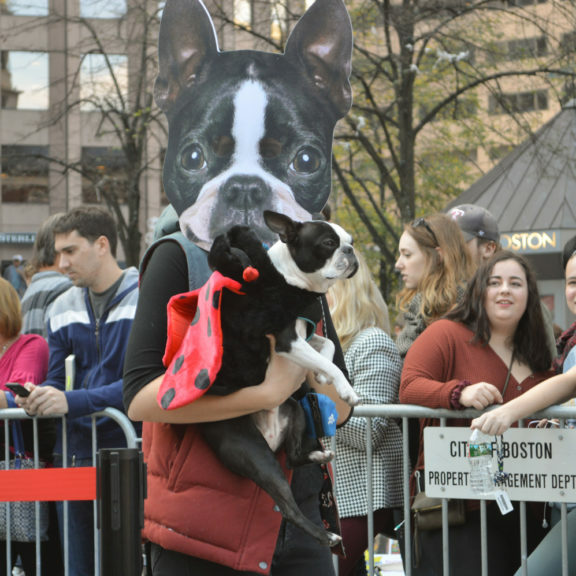 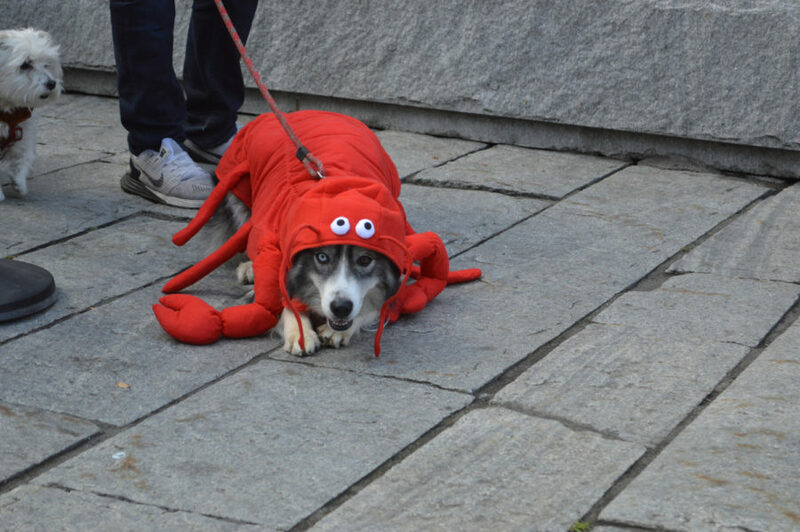 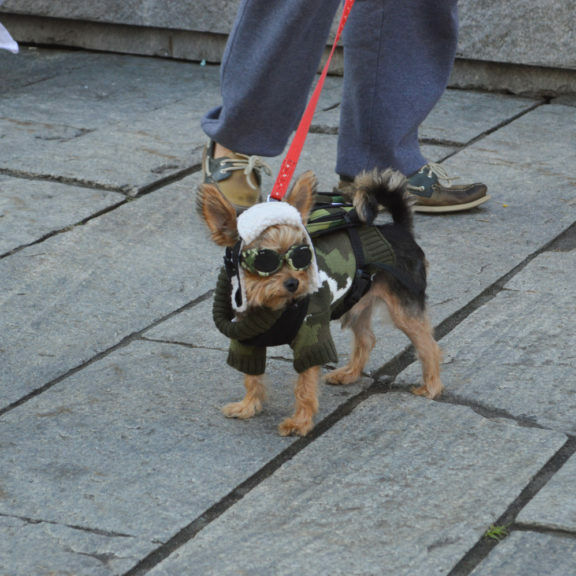 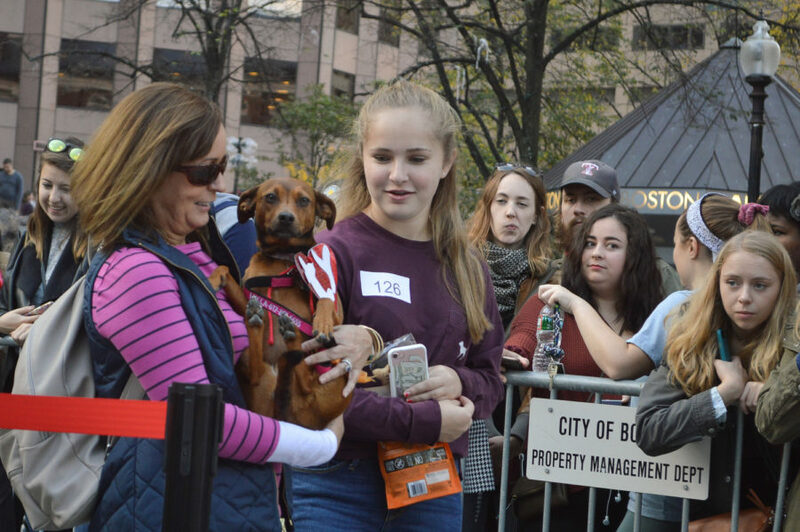 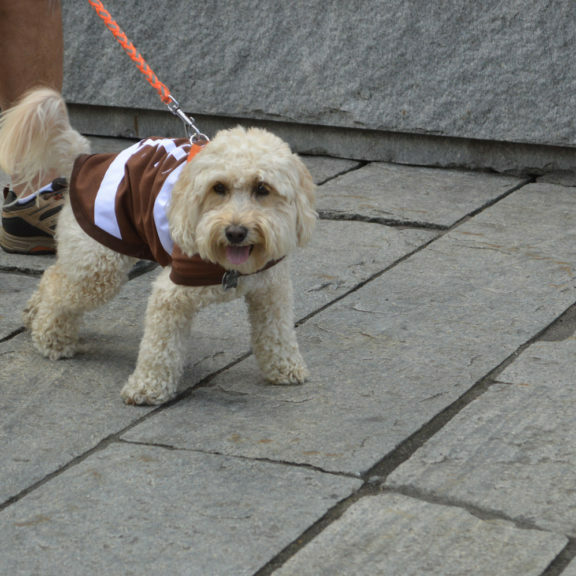 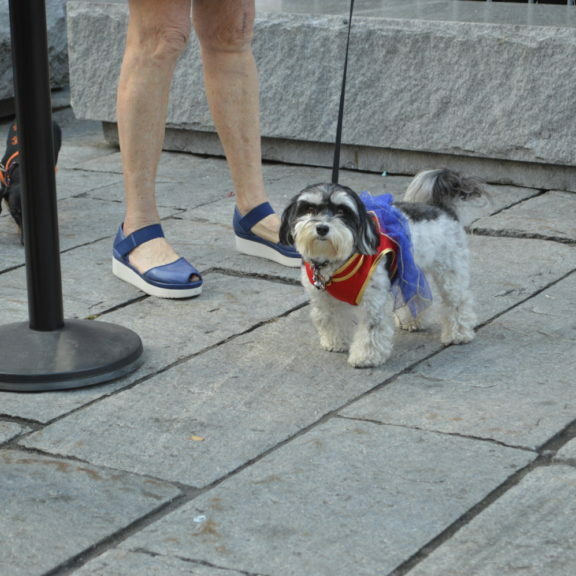 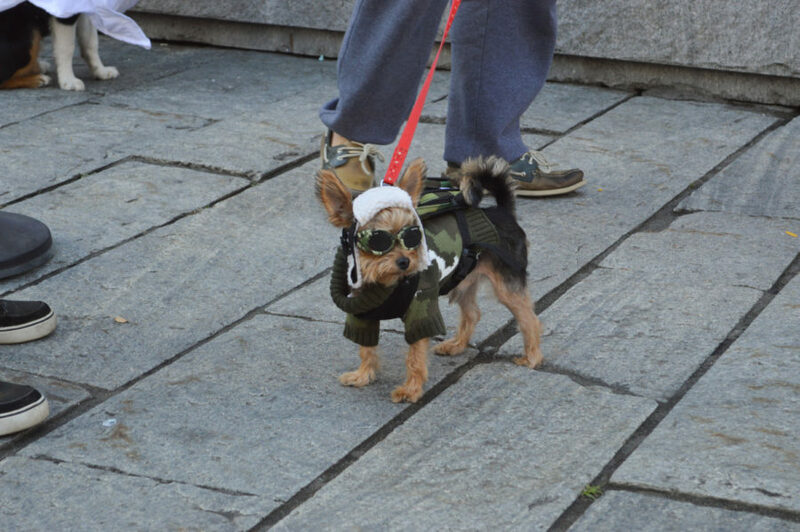 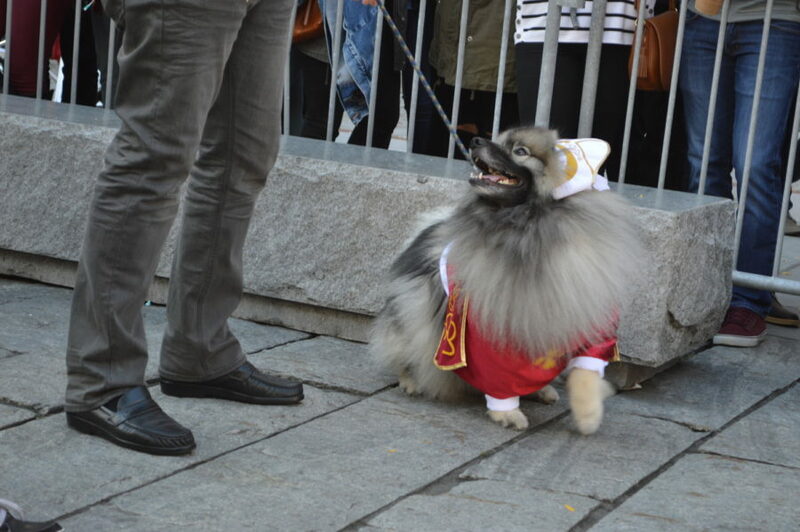 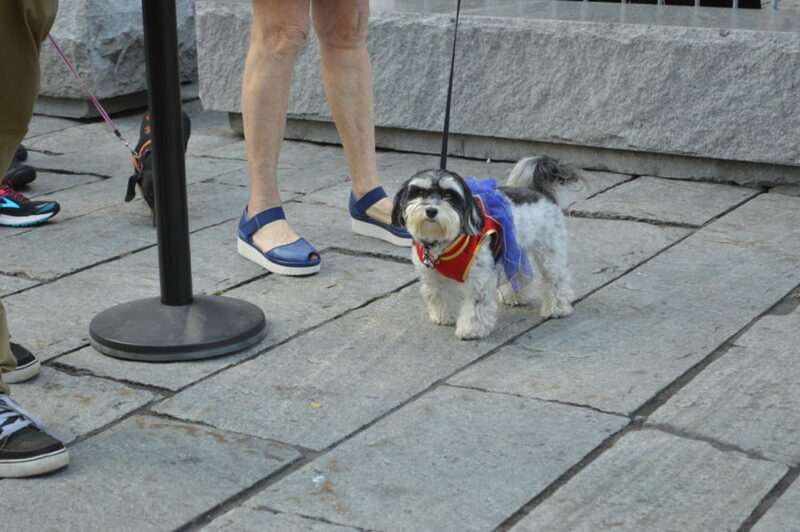 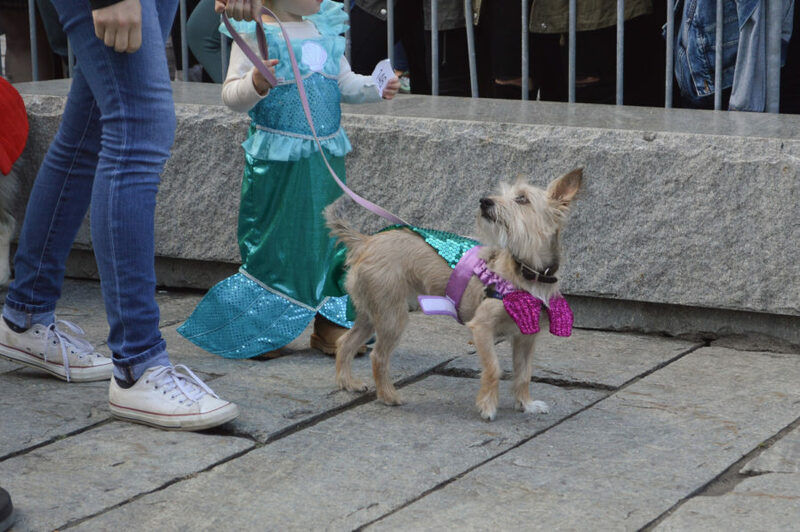 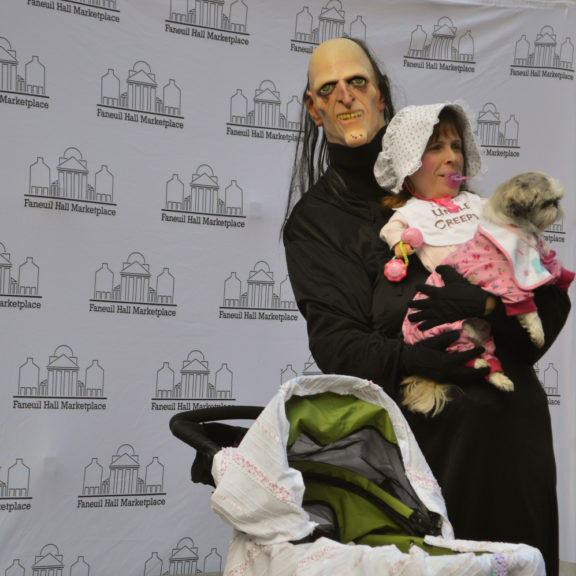 The Annual Faneuil Hall Pet Parade and Costume Contest took place this past weekend and featured many cute dogs, a few angry cats, two guinea pigs, and at least one lizard. 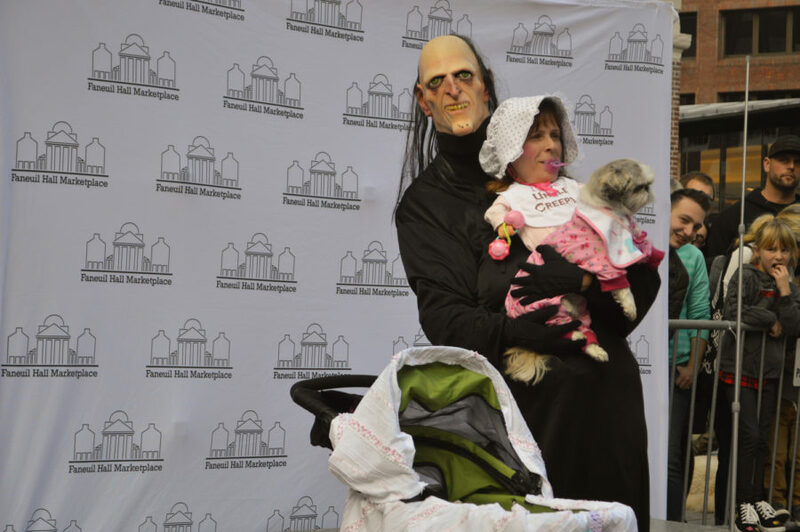 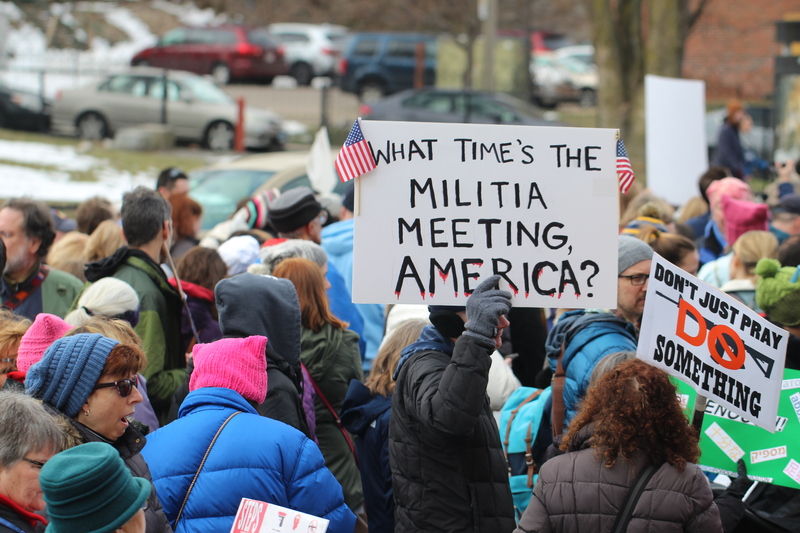 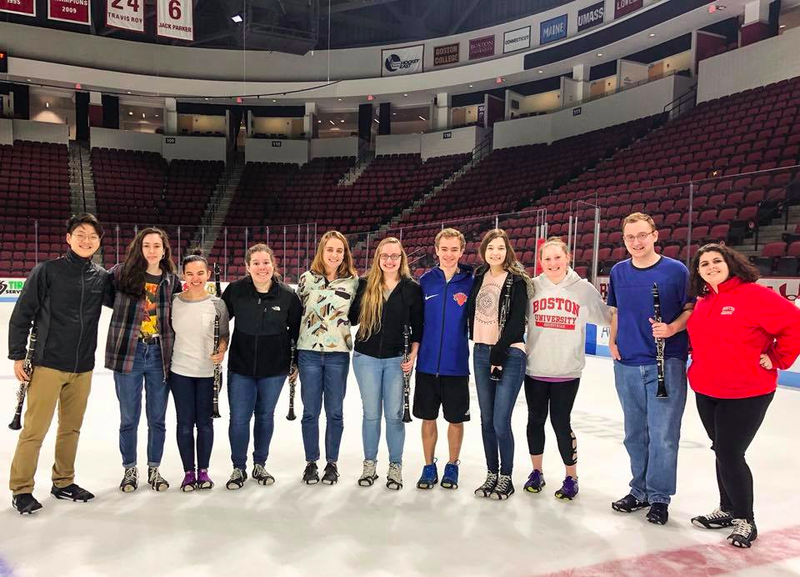 Check out our favorite photos here and tell us which one you like the best! 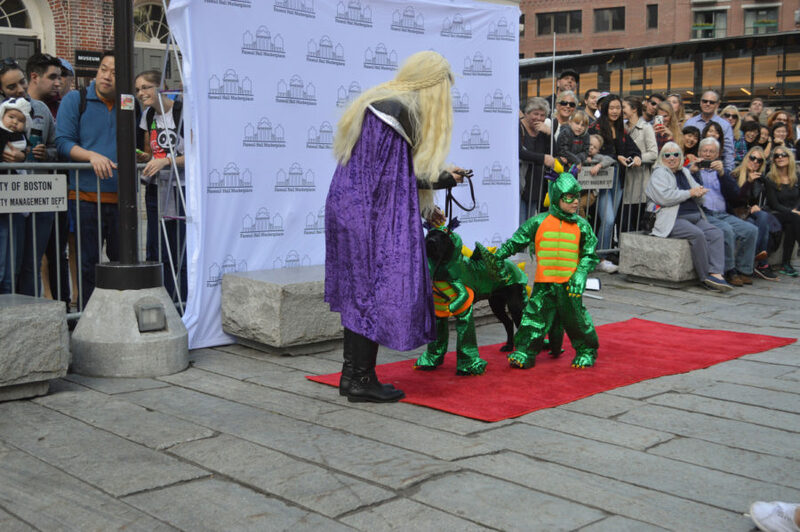 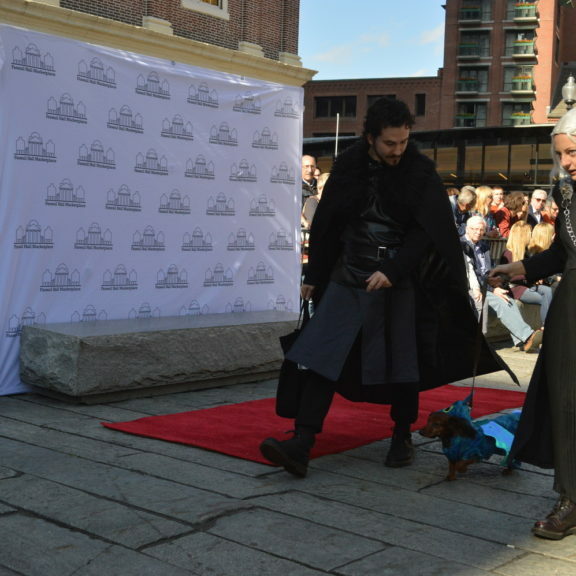 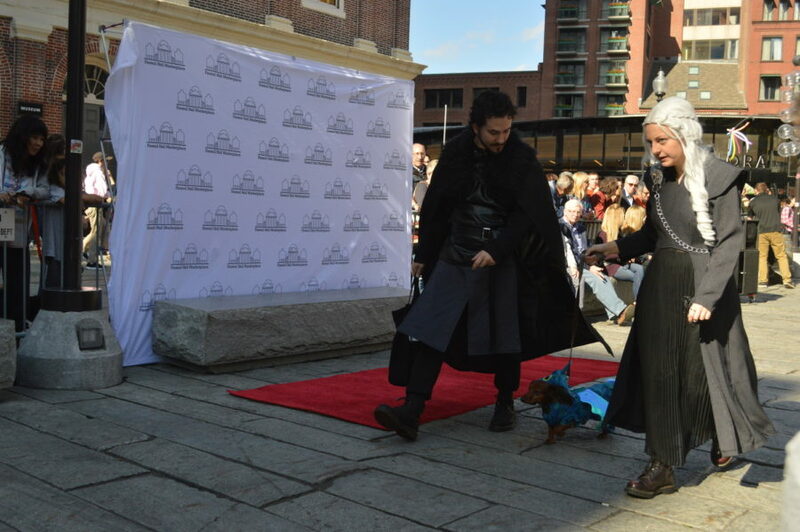 “Game of Thrones” characters walk across the stage before the Faneuil Hall Pet Parade and Costume Contest. 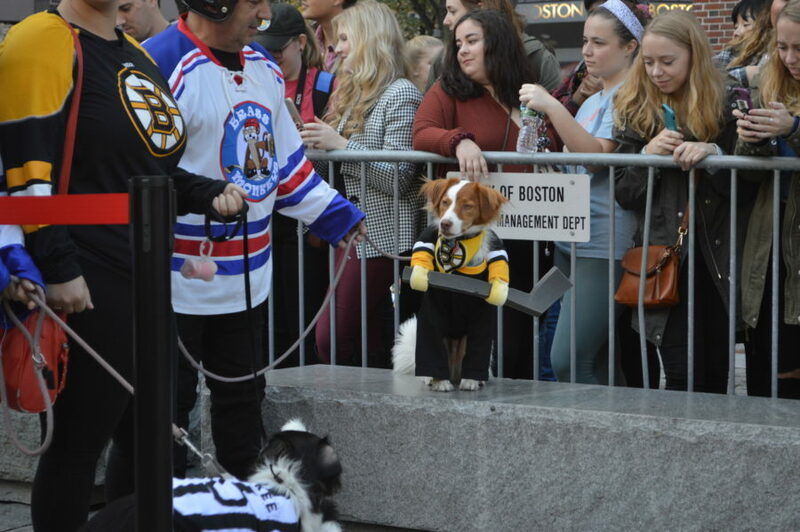 Dogs of all sizes showed up to try and win the costume contest. 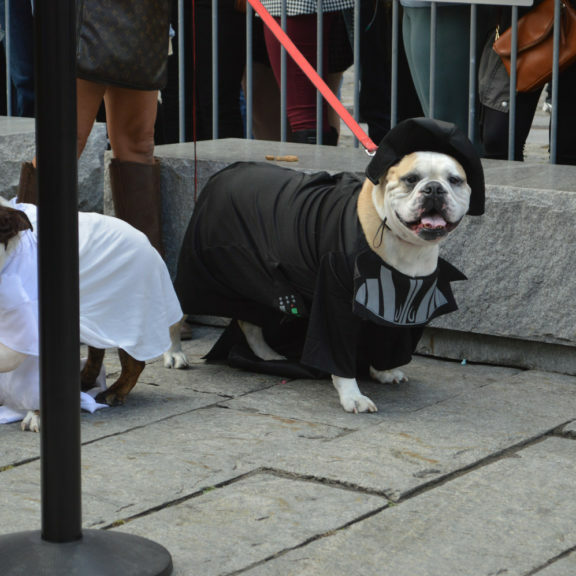 They say dogs and owners look alike.. 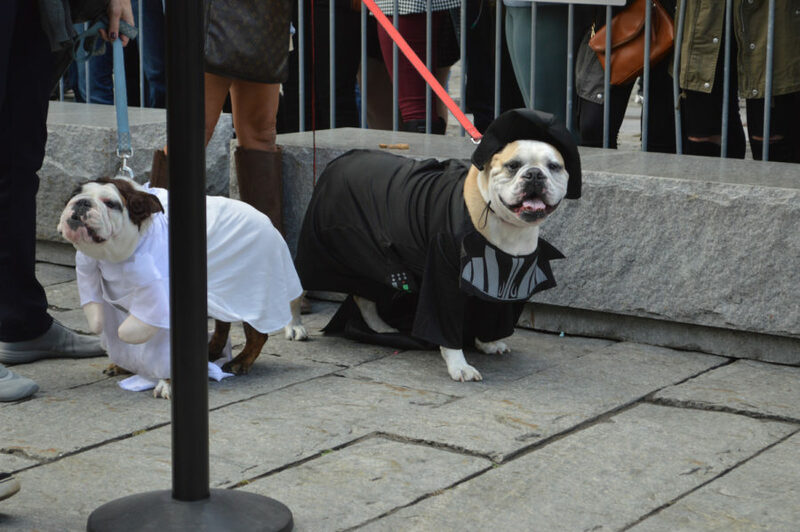 Even humans took part in the dressing up. 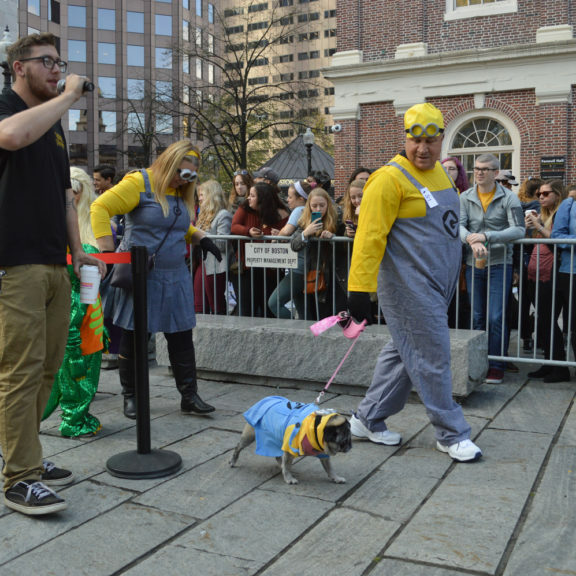 These were not the only minions at the parade. 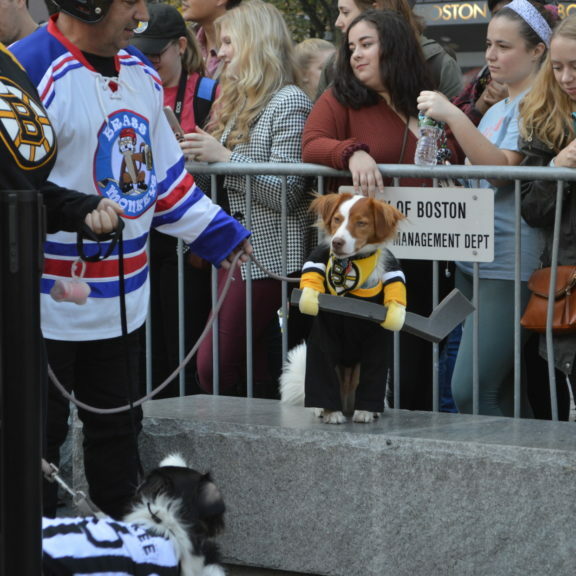 Some costumes added a scary factor to the scene. 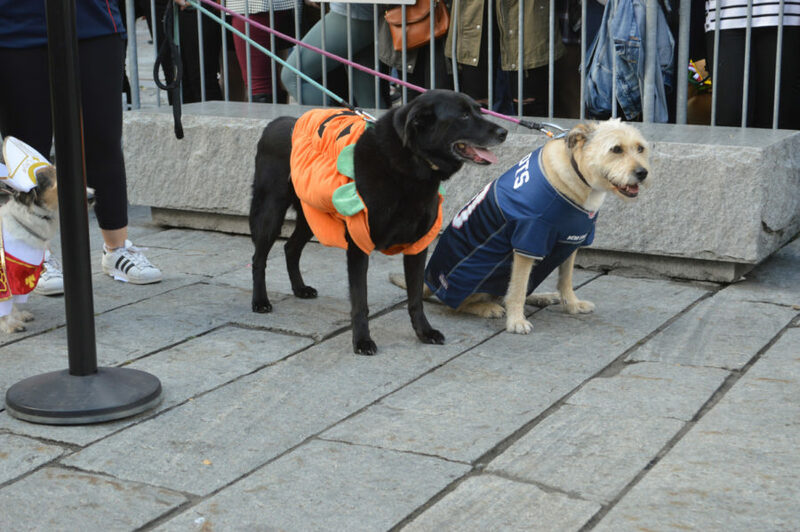 A pumpkin and a Patriots player. 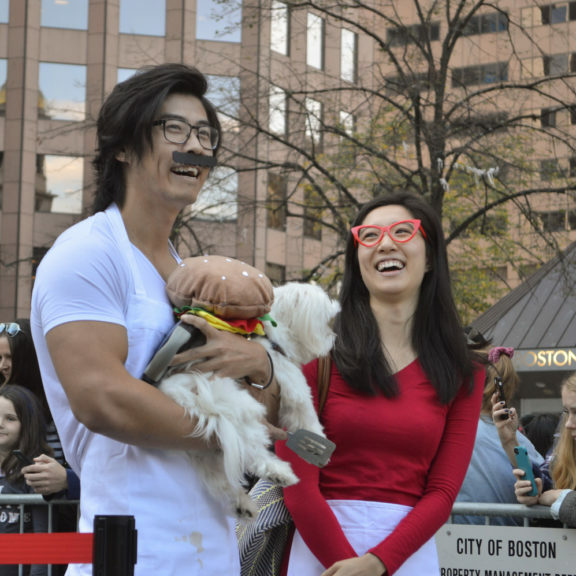 A “Bob’s Burgers” family costume. 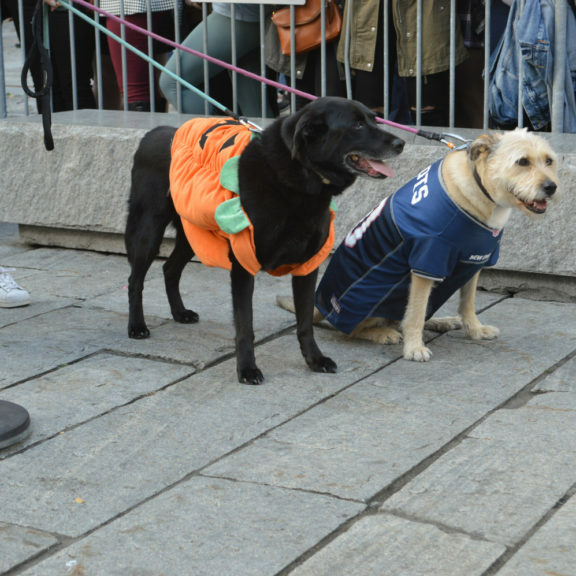 Two dogs and one human become three dinosaurs. 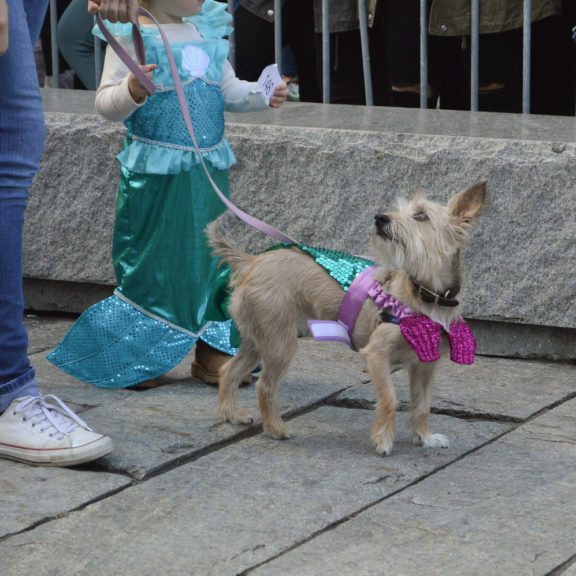 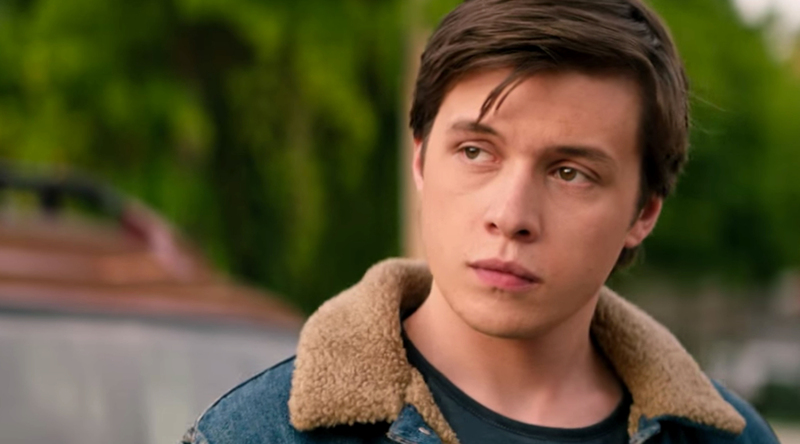 This pup was introduced as a dog that put Gal Gadot to shame. 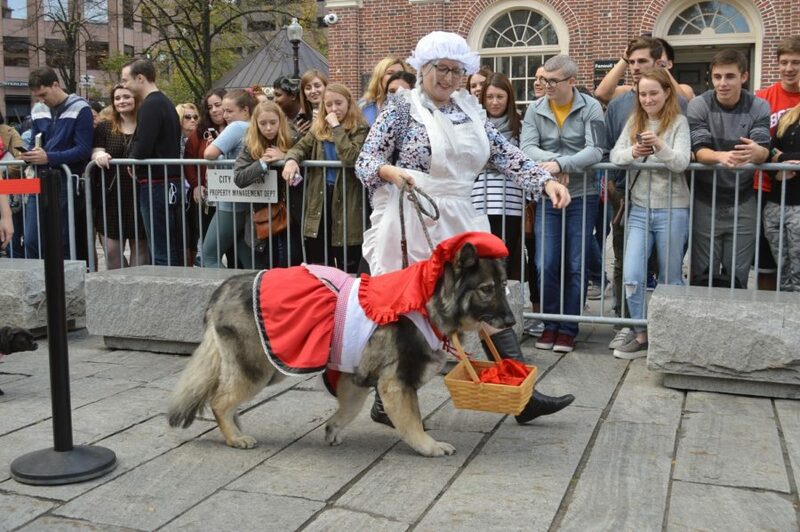 Little red riding hood and her grandmother. 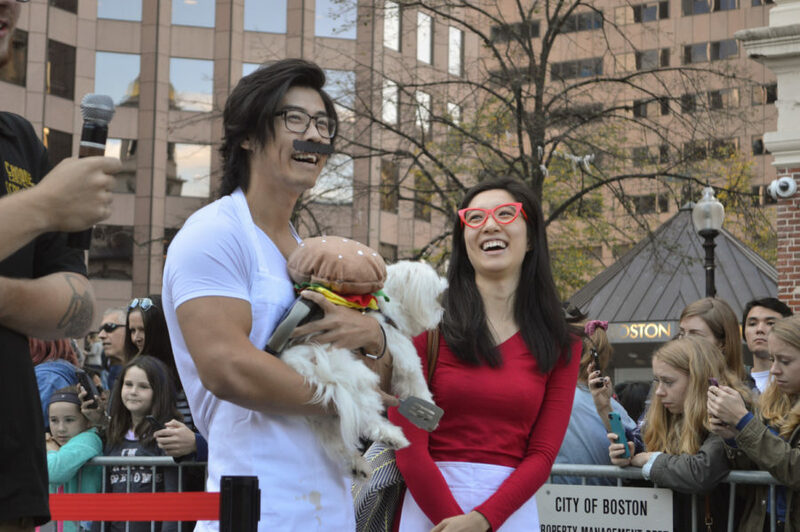 This dog went as a beanie baby.